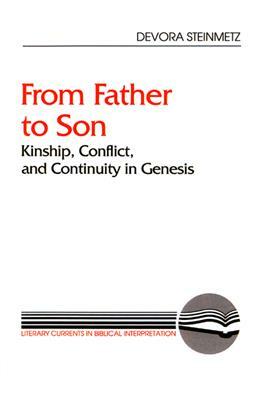 The family narratives in the book of Genesis are important in understanding the meaning of the book and are fundamental to the unfolding story of the birth of the Israelite nation. Devora Steinmetz sees kinship in ancient narratives as a symbolic structure representing the ability of the emerging culture to survive despite conflict that threatened society's existence. The family narratives in Genesis reflect a culture's capacity to survive as a united people. The Literary Currents in Biblical Interpretation series explores current trends within the discipline of biblical interpretation by dealing with the literary qualities of the Bible: the play of its language, the coherence of its final form, and the relationships between text and readers. Biblical interpreters are being challenged to take responsibility for the theological, social, and ethical implications of their readings. This series encourages original readings that breach the confines of traditional biblical criticism.